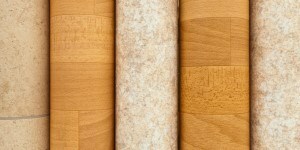 Is Vinyl Composite Tile Right For You? If you're looking for a more affordable alternative to ceramic tile flooring that still has all the benefits of the great appearance of tile, our Atlanta flooring company recommends vinyl composite tile (VCT). Vinyl composite tile is available in a broad spectrum of different styles and colors, and with semi-recent advancements in the manufacturing of vinyl composites, it can replicate the textures of natural materials like stone or wood. When you hire 1st Quality Floors, we can help you decide what the right options are for your home, and we'll handle every aspect of the installation. Our professionals have years of experience working with vinyl composite tiles, and we'll be able to ensure that the project is a complete success. We know how important your home is to you and your family, and how important your flooring is to your home, so we never consider our work done until you're totally satisfied with the final product. Here are some reasons why homeowners are going with vinyl composite tile today. Vinyl composite tile flooring offers flexible design options. There are a vast array of colors, textures, and styles to choose from. The sheer number of design options that are available to you are seemingly endless. Vinyl composite tile is available is almost any color or pattern that you can think of, so you'll always be able to find the perfect choice for your Atlanta home. We can help you decide between a wide variety textures and designs, and everything about your vinyl flooring installation can be totally customized. Vinyl composite tiles are extremely durable. If it's properly installed, your new VCT floor can last for many years without ever needing much maintenance. It can handle foot traffic excellently, and it's very resistant to stains. VCT flooring is cost effective. It is cheaper per square foot than many other flooring options and it isn't complicated to install. This means the cost of materials and labor will be lower than most of the other options you have. But while it's less expensive, vinyl composite tile is not low quality. It will be very attractive, low-maintenance, and durable, while still costing you less. For many homeowners in Atlanta, the durability and low-cost of vinyl composite tile floors make it a perfect choice. Homeowners are also attracted to the fact that vinyl flooring can so closely resemble stone or wood flooring while being more comfortable to stand and walk on. Other homeowners, of course, are more attracted to natural hardwood, tile, and stone flooring. 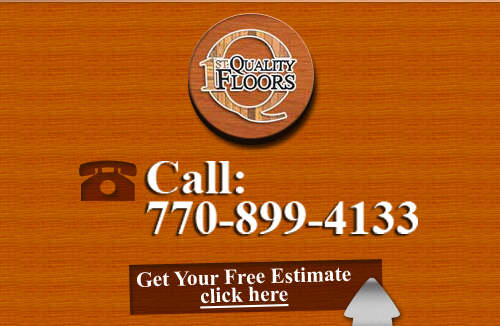 Our Atlanta flooring company at 1st Quality Floors can help you decide on the right options based on your home, your budget, and your design style. 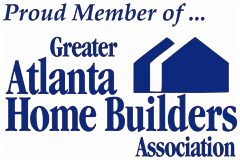 Give us a call today at 678-615-7799 or complete our online request form.